Pennsylvania’s Learning Standards for Early Childhood are research-based according to age and development, and form the foundation for curriculum, assessment, instruction and intervention within early care and education programs. Click here to purchase copies of the PA 2014 Early Learning Standards and/or posters. Click here for a listing of curricula aligned with the 2014 Learning Standards for Early Childhood. Pennsylvania’s Learning Standards for Early Childhood were developed in 2004 through cross-sector collaboration from the departments of Health, Education and Public Welfare (now Human Services), and representatives from child care, early intervention, school districts, Head Start, higher education, family support programs and researchers. 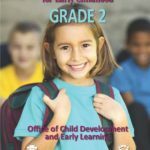 The standards delineate benchmarks along the birth to grade 2 continuum to promote readiness and early school success and are aligned with standards that span to the 12th-grade. Pennsylvania’s standards are research-based according to age and development and form the foundation for curriculum, assessment, instruction and intervention within early care and education programs. They also comprise the primary device for ensuring high quality, consistent childcare across geographies and programs. Pennsylvania was one of the first states in the country to develop and align early learning standards to grade three academic standards. 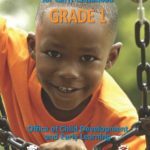 In 2010 Pennsylvania began integrating its early learning standards into the Standards Aligned System (SAS), the K-12 online resource portal designed to provide educators with a framework and integrated tools to enhance their teaching effectiveness. 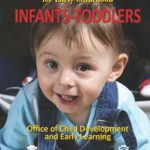 Pennsylvania’s Infant, Toddler and Pre-Kindergarten Learning Standards for Early Childhood were revised in 2014. 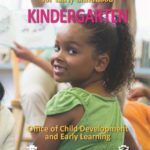 Pennsylvania Kindergarten, Grades 1 and 2 Learning Standards for Early Childhood were revised in 2016. Updated 21st century skills in the key learning areas of Approaches to Learning through Play and Social and Emotional Development. For more information, please contact Maryanne Olley at molley@pa.gov or 717.214.8434. 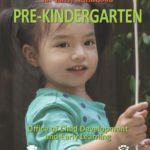 Important information for programs using a homegrown curriculum: Programs using a homegrown curriculum need to submit an alignment to the 2014 Learning Standards for Early Childhood based on the ages served (Infant/Toddler, Pre-Kindergarten or both). Infant/Toddler (MS Word) and Pre-Kindergarten (MS Word) templates are available for this purpose. Each template contains the Standard Areas, Standards and Concepts and Competencies written out by domain on the left side of the template. Programs need to supply evidence of alignment in the right hand column of the document. A curriculum is considered meeting the alignment threshold when 75% of the domain (s) is aligned to the standards. Submissions can be for comprehensive coverage of all key learning areas or focus on a single domain. All alignment submissions and questions should be directed to Maryanne Olley at (717) 214-8434 or molley@pa.gov. The Pennsylvania Family Engagement Crosswalk (PDF) was developed to demonstrate the similarities and continuity between four different professional resources: the Pennsylvania Early Learning Standards, the Head Start Family Engagement Outcomes Framework, the Strengthening Families Protective Factors Framework, and the PTA National Standards for Family-School Partnerships.